If you love hot and sunny destinations but crave a little more action than sun-bathing, have you ever thought about snorkeling? If it’s an activity that you’ve never tried before or not done in a long time then put it on your bucket list as it’s an amazing experience, especially if you are somewhere with stunning marine life. 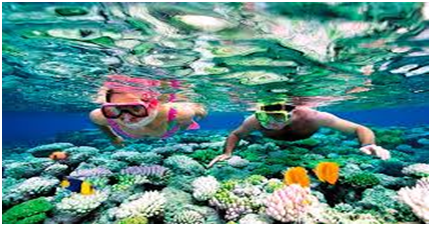 Let’s take a look at some reasons why snorkeling should feature on your next holiday. Underwater Experience – not many of us have the opportunity to experience nature up close and personal and for most of us, this kind of activity only occurs when we are on holiday. Watching nature episodes on National Geographic is one thing but at least once in your life you should try to experience the wonders of the deep in person and with your own eyes. 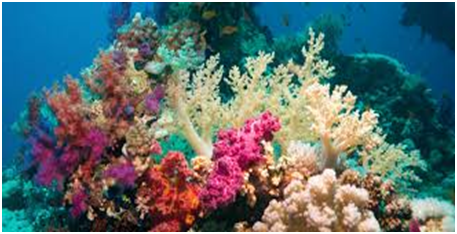 Seeing Coral reefs – Whilst not trying to sound pessimistic, this is a case of see them before they’re gone. Many of the world’s coral reefs are under threat and they offer such a diverse and beautiful seascape that they really need to be seen to be believed. Home to thousands of living things and coming in all shapes, sizes and textures, you’ll be sure to have an unforgettable experience. See for yourself corals that are shaped like brains, plates, noodles and mushrooms. Keeping active – Not only are you having a unique experience but snorkeling is a workout too. Snorkeling helps to improve your breathing and has the additional benefit of being a cardio exercise so you can burn calories and have fun at the same time. Creature spotting – You will most definitely see lots of beautiful and colourful fish of different species, shapes, sizes and behaviour. Some species will swim in great shoals whereas others are loners. Do some research before you visit an area and try to see how many you can spot and recognise. For some of the best snorkeling in the world, think about Planning a trip to the Caribbean. For more information, visit http://lostwaldo.com/. Travel light – You won’t have to carry lots of equipment to snorkel. If you want to have some of your own gear then all you’ll need is a face mask or diving mask, a snorkel and some fins. You will find that in most holiday destinations, you don’t need any equipment at all as local operators will be able to supply you with everything you need for a guided snorkel experience. Cheap therapy – Swimming in the sea is therapy and is proven to provide healing effects and happiness in people. It is good for both the skin, overall body exercise and definitely good for boosting feelings of well-being. No Fear – If you have a fear of deep water, which many people do, you can still take part in this activity as there is no requirement to go into deep waters. You can rest assured that when snorkeling, you don’t leave the surface of the water and cannot sink due to the buoyancy of the mask. You never have to get out of your depth. Reconnect with nature – Getting up close with nature might change the way you look at and feel about the ocean. You come to appreciate the sheer beauty and diversity of that world under the waves and this education can help you to spread the word about how we must all take care of our marine hab.